When you visit the Maryland Zoo in Baltimore, you’re visiting the nation’s third oldest zoo! Originally established in 1876, this zoo spans more than 135 acres and offers the chance to view nearly 200 species of animals. The zoo’s newest addition is an exhibit for African penguins. There is no doubt that spending a day at the zoo is a great reminder of all of the interesting animals out there in the world. The following are just a few suggestions for exhibits you may enjoy during your visit! Penguins are not only seriously cute (in our opinion), they are also very entertaining! The new state-of-the-art Penguin Coast exhibit allows you to watch these adorable birds swim from a special underwater viewing area. The birds also have a new, larger habitat that will allow room for this colony to double in size! If you haven’t already overloaded on the cute penguins, there are so many other incredible animals to see. 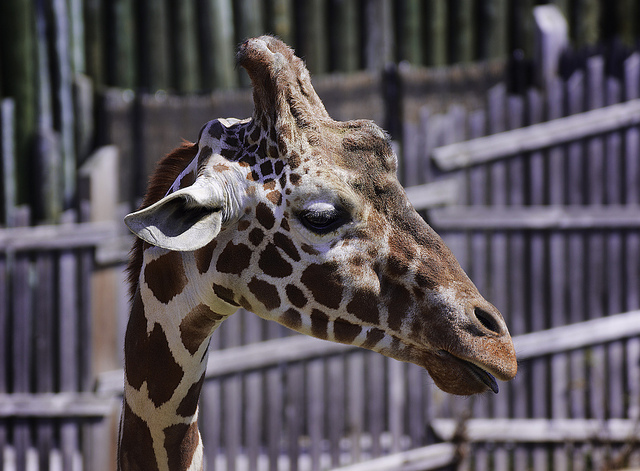 Some of our favorite mammals are the chimpanzees, giraffes, lions, African leopards, and polar bears. On the smaller side, we also love the lionheaded rabbit and the chinchilla. Beautiful birds include the blue-bellied roller, Caribbean flamingo, green-winged macaw and more. Other intriguing exhibits include the reptiles (the African slender-snouted crocodile is a must-see) and the amphibians. The sheer size of the African bullfrog may surprise you! In addition to all of the awesome animals at the Maryland Zoo in Baltimore, the facility also hosts a variety of events (some seasonal) open to the public that not only increase awareness of the zoo, but allows people to come in and see it in a different light. After Hours with the Animals, for example, lets you experience the zoo later in the day at a reduced ticket price. Visit from 4-7 p.m. the second Saturday of each month May-September for just $10. One fun annual event the zoo hosts is OktoBEARfest. For one price, you can enjoy sampling fall-flavored beer, listen to live music (polka, of course!) and taste German-inspired food. You’ll also get an all-day admission ticket to the zoo! Visit the website for more details. Where the Wild Things Art is a fun event, held at the Penguin Coast Penguin Education Center, where you’ll receive step-by-step instructions to paint your own masterpiece while you sip on the beverage of your choice. The ticket price includes one complimentary beverage. A cash bar is available. If you’d love the chance to help out at the zoo, check out Breakfast with the Elephants! Enjoy your own breakfast buffet before helping put together breakfast items for the herd. Enjoy a chat with the elephant keeper before watching the elephants eat their breakfast, prepared in-part by you! Let the Wayside Inn take some of the guesswork out of planning your trip. Download our Free Vacation Guide to help you figure out the best place to stay, as well as some of the other fun and interesting things to see and do in the area. The Wayside Inn is a great place to call your home away from home whenever you visit the Baltimore/Washington, D.C. area. Our six beautiful guest rooms offer all the comforts of home, and you can enjoy a delicious breakfast each morning!